In a simple but colourful ceremony at the Mount Lavinia Hotel in Colombo on Tuesday night organized by the Editors’ Guild of Sri Lanka and the Sri Lanka Press Institute, the media fraternity came together, as they have been doing for the past 13 years, to celebrate each other’s achievements, honour those who have contributed remarkably to print media in the country as well as remember the media practitioners who had passed away in the past year. 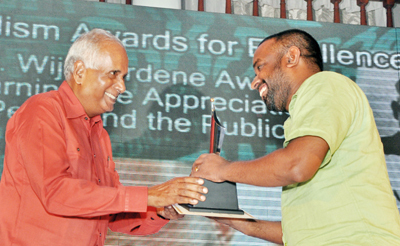 The Sunday Times was among the big winners at the Journalism Awards of Excellence 2011 where print media journalists in the country were recognised for their exceptional displays of professional skills in the past year. For the Sunday Times, Deputy Editor (News) Anthony David accepted the Scoop of the Year Award on behalf of his News Desk, Chandani Kirinde won the Columnist of the Year award and Nadia Fazlul- Haq the B.A. 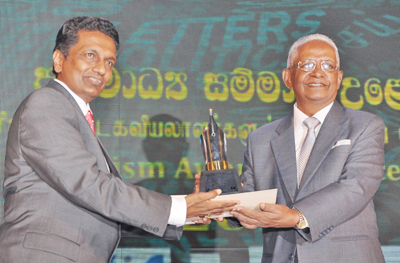 Siriwardene award for Feature Writer of the Year. 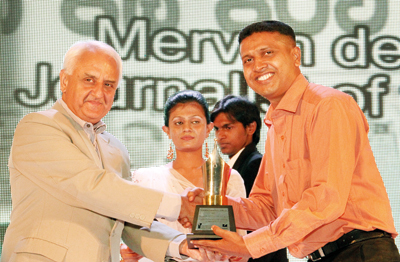 The Sunday Times was also honoured as the Best Designed Newspaper of the Year.The prestigious Mervyn de Silva Journalist of the Year award was won by Lasantha Weerakulasuriya of the Lakbima newspaper. 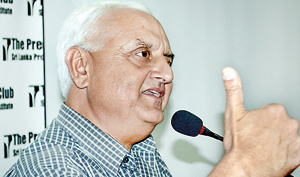 He was presented the award by the Chief Guest on the occasion, the Managing Editor of the Nepal-based Himal Southasian magazine, Kanak Mani Dixit. 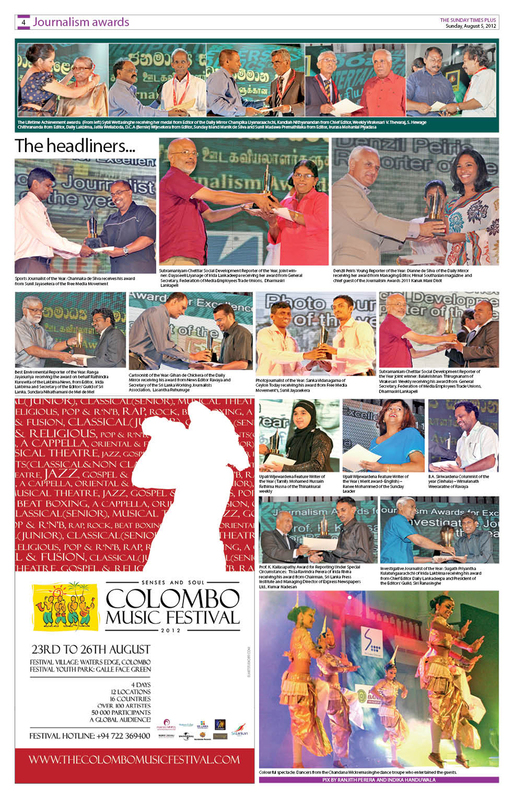 One of the annual highlights of the ceremony is the conferring of the Life Time Achievement Awards by the members of the Editors’ Guild of Sri Lanka on five media personalities who have dedicated their lives to enhance the standards of journalism in the country. This year’s recipients were D. C. A. (Bernie) Wijesekera, Kandiah Nithyanandan, Ms. Sybil Wettasinghe, S. Hewage Chithrananda and Sunil Madawa Premathilaka. Heralding the evening’s entertainment, the Sunera Foundation put on a thought provoking dance drama, on the need to protect the environment and keep it clean in the face of the dengue menace. The dancing troupe of Chandana Wickremasinghe too performed.